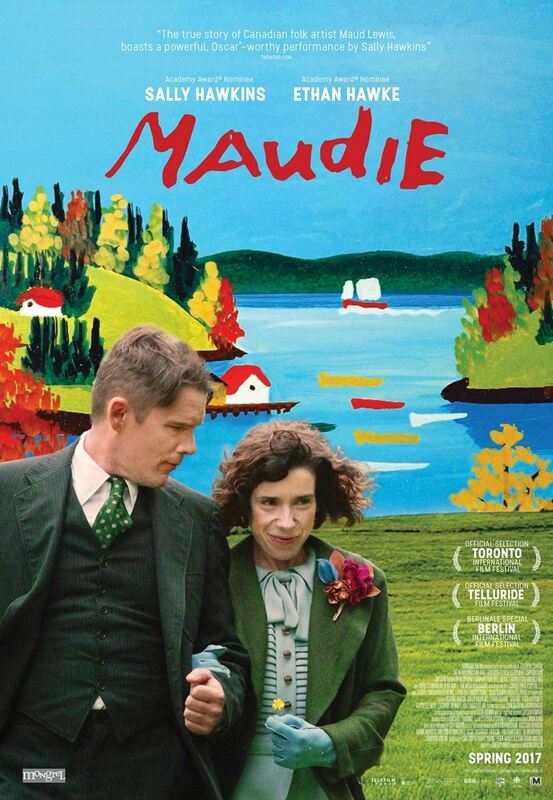 Biographical film about the life of folk artist Maud Lewis, who painted in Nova Scotia. Maud struggles with arthritis, memory of a lost child, and a family that doubts her ability, before moving in with a surly fish peddler as a housekeeper. Despite their differing personalities, they marry as her art gains in popularity. Shot in Newfoundland and Labrador. Sally Hawkins and Ethan Hawke.